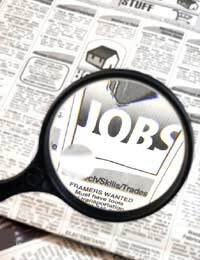 Job hunting can be an exhaustive process, particularly if you are out of work and don’t have a salary coming in. So what can you do to stay positive whilst job hunting, particularly when the search is taking longer than you originally expected? Here are five tips to help you through. There are always things in life that we as individuals have no control over, the weather being the most obvious example. Similarly, when you are job hunting there’s very little that can be done about the state of the economy, or the jobs market itself. What you can do, however, is prepare yourself and be prepared for what life throws at you, just as you would wear the most appropriate clothing or carry an umbrella with you, just in case. So, when you are job hunting, think about what you can do to be prepared for your environment. Think about the industry you are trying to find jobs in, do they traditionally hire people at certain times in the year? For example, if you are trying to get a job with an investment bank, the job market tends to open up around the time when bonuses are paid (usually between February and April of each year), and more people are looking to move on and find alternative employment. You might not be able to control your environment, but instead you can focus your time and energy on the things that you can control or have an influence over. This is a far more productive way to spend your time and will leave you better prepared when opportunities start to come along. Not many people can say with honesty that they have aced every single interview they have taken, or that they were offered a job from their very first job application. Asking these positively framed questions can help you to shift your mindset and give you the confidence you need to be successful. Without this confidence your job search will narrow rather than widen, and you could miss out on opportunities. Don’t worry: we all talk to ourselves. There is always a dialogue taking place within our own heads, but more often than not the voice is self critical and not particularly encouraging. Try to stop yourself when you hear your negative voice and instead try to turn the voice around and focus on the positive instead. You’ll instantly feel better about yourself. Finding a new job, or career, is a life changing process, so it is perfectly normal to feel anxious or ‘down in the dumps’ if things aren’t happening as quickly as you would like. Don’t berate yourself for having these feelings, but don’t give in to them either. Think about how you can change the way you feel and break out of the negative cycle. Perhaps try a different approach in your job search, do something out of the ordinary or simply count your blessings. Sometimes focusing on the small wins or achievements in life can give you the energy you need to tackle the bigger challenges. Not only is exercise good for the body, but it is also therapeutic for the mind and fuel for the soul. Any form of physical exercise helps to release endorphins in the body, making you feel better and boosting your energy and confidence levels. Finally, try to put your job search into perspective. It may be frustrating but the likelihood is that although the search is frustrating, you will find a suitable position sooner rather than later. These are difficult economic times for everyone, but most people reading this article will be living in the mostly wealthy 5% of the world’s population. If you are taking the right steps towards finding a job taking a positive attitude should help you achieve your goal.